Do you need any of the following marketing items? Let us handle the project for you. 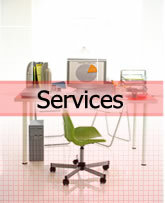 From the graphic design to the printing, we provide a complete start to finish service.